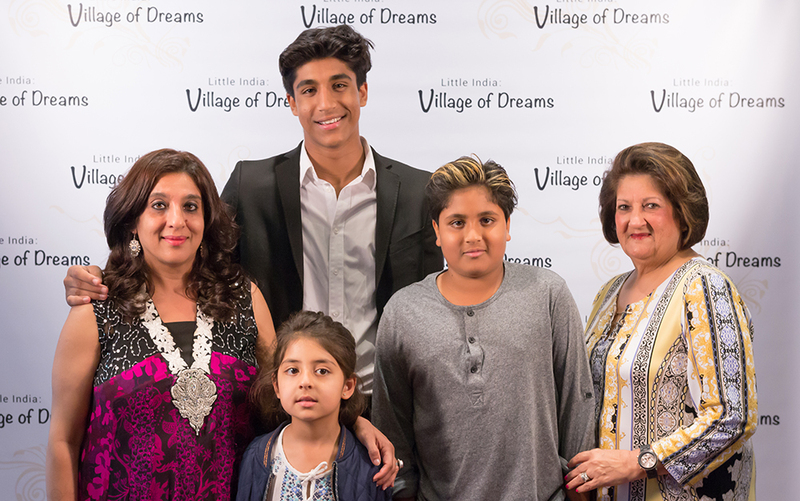 Photo © Sunny Arora for Village of Dreams Productions Inc.
Gulshan Allibhai is the mother of Adam and Ayaan Sayani. Adam currently attends Upper Canada College and is on UCC’s highly successful Model UN Team, and Ayaan, who dreams of being an NBA star, is commencing middle school in the fall. Tragically Gulshan’s husband Alnoor Sayani passed away from a heart attack in 2013. Alnoor founded the landmark restaurant and community beacon, Lahore Tikka House. 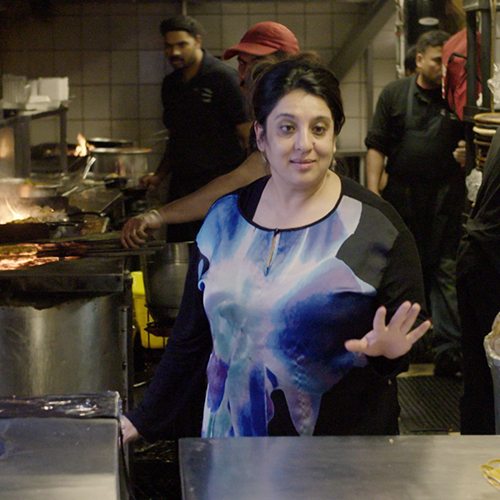 After Alnoor’s passing, Gulshan left her job as a social worker and university teacher, rolled up her sleeves, and took over the management of Lahore Tikka House, a 400 seat restaurant. in the kitchen of Lahore Tikka House Ayaan Sayani and ‘Puppy’.